Shure SRH940 - "Unbalanced sound not good for mastering"
Sennheiser HD 600 - "HD600 : A very capable headphone"
Audio-Technica ATH-M20x - "Very good for its price !" 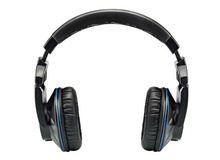 3D Audio 3D Sound One - "High Quality Surround Sound (5.1/7.1) with Head-Tracking"
Sony MDR-V6 - "Sony MDR-V6 Review from an ex-7506 User"
Audio-Technica ATH-M50x - "Too fun for precise studio work, but perfect for enjoying music"
Audio-Technica ATH-M40x - "A step up from the rest." Superlux HD681B - "fantastica in relazione al prezzo !" KRK KNS 8400 - "Excellent For Recording, Mixing And Mastering"